Psychopaths are interesting to many people. We often find them so intriguing, so alien. How can someone just not care? How can someone have no conscience? Their more violent exploits have been the subject of movies and documentaries. Serial killers in particular are of huge interest to people. How does someone become that way? The thing is, not all psychopaths are rapists and murderers. There are many who never commit a crime. So what about the "everyday psychopaths?" What about the ones who are not serial killers, those that are not on the news? Are they still just as dangerous? When you have a person who has no conscience, whose only goal is fulfillment, who does not see other people as humans with feelings and rights, you have a dangerous person. This is a person who thinks nothing of destroying the lives of others if that's what it takes to get what they want. And maybe even for fun. Psychopaths are end-stage narcissists. They are what you end up with when it is not possible to be any more narcissistic. They are what happens when the focus on the self is so large and consuming that there is room for nothing else. The same goes for sociopaths. There are many who will argue there are differences between psychopaths and sociopaths, but the truth is, it's like arguing the difference between eggshell and off-white. Neither of those things is a clinical term or a diagnosis anyway, so for the purposes of this article, we're talking about both. Because psychopaths are end-stage narcissists, all psychopaths are narcissists, but not all narcissists are psychopaths. So what does that mean? 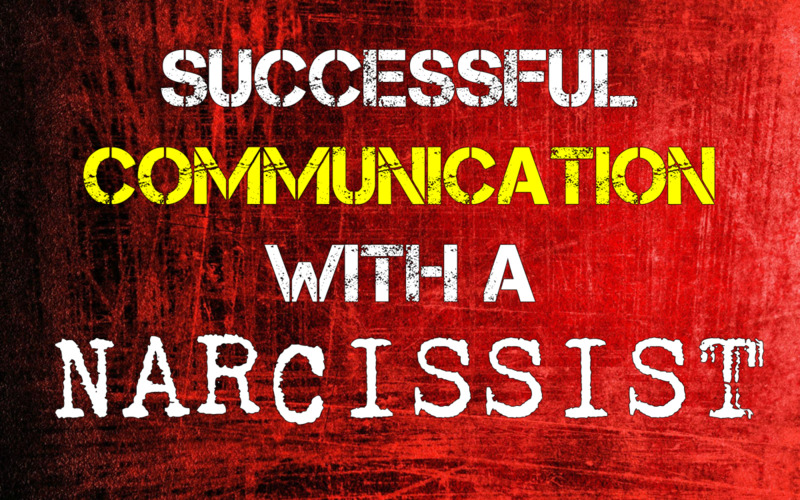 It means that narcissism is a spectrum, so there are varying degrees of narcissistic people. The closer a person is to the end of the spectrum, the more rigid and inflexible - the worse, in other words - their narcissistic behaviors are going to be. Pathological narcissism is the core of psychopathy. As the spectrum continues, these things generally get worse and worse. This often results in narcissists being misdiagnosed with things like multiple personality disorder or schizophrenia and other psychotic disorders because their ability to function is so low and their relationship with reality seems to be so impaired. The closer they get to the end of the spectrum, though, something seems to happen that changes this. 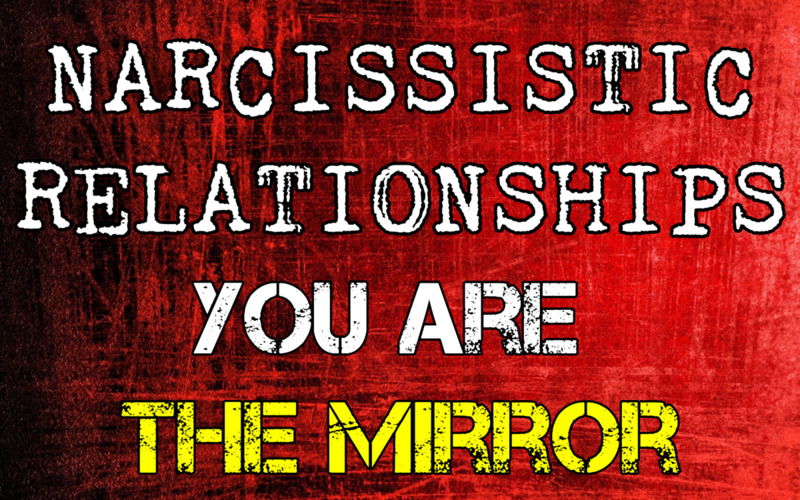 Narcissists have the difficulties they have in large part due to their emotionality. Like small children, they operate off of emotions rather than facts. This is why so much of their behavior seems illogical: it is. Behavior based on emotions is often irrational or illogical. Narcissistic people exist outside the ego structure. It is a dysfunctional part of them, and their constant conflicts with these things are a huge source of their problems. Ego is part of being human; we all have it. It's the thing that speaks as "I" when we talk and when we think. It is the thing that makes sure we don't get treated badly, so it is necessary. However, when it malfunctions, the results can be ugly. The ego structure of a pathologically narcissistic person tortures them continuously, screaming "What about me???" endlessly. Then the superego jumps in and says, "What about you? You're stupid. You're worthless. You're ugly." The ego then cranks into overdrive, screaming "No, I'm not! THEY ARE! Look at all these people who are much worse than me! I'm not worthless! I'm the most important thing!" 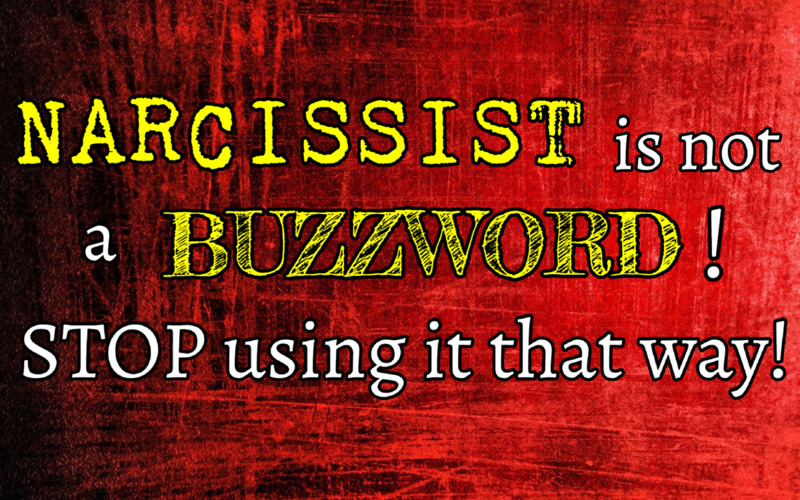 and on and on and on, these two things battle it out in the narcissistic person's head. 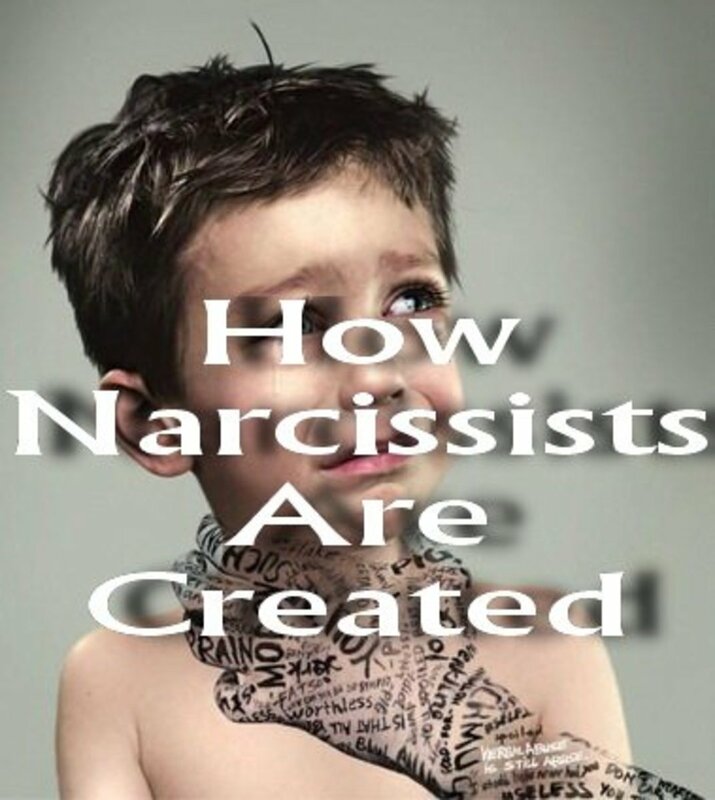 The narcissist simply exists day in and day out, trying to survive this endless war and escape it whenever they can, usually through projection, blame-shifting, gaslighting, future-faking, magical thinking and other forms of abuse or manipulation. The psychopath does not have these problems. As one clinician stated, “When one gazes upon the psychopath, there is less there than meets the eye.” We could say that the superego is essentially missing from their personality structure. There is a theory that most people have a personality structure which includes three parts: the id, the ego and the superego. Following this model, the true psychopath's personality structure appears to be dyadic. That means it has only two parts, not three. This is because they are less developed than other narcissistic types of people. The superego forms between the ages of three and five. Psychopaths appear to experience an interruption or deviation in emotional development before then. For example, psychopaths don't engage in repression because this type of defense mechanism is too mature for them. Their emotional range is even less than that of toddlers. The feelings they do have don't require other people to be seen as human beings or as individuals. These feelings usually come quickly and leave quickly as well. Unable to feel more broad, complex emotions such as anger, fear, guilt, depression, sympathy, jealousy, gratitude, empathy, remorse, sadness, loneliness, and reciprocal joy, the psychopath's emotional repertoire is limited more to the "feeling" types of primitive emotions: excitement, frustration, rage, boredom, envy, dysphoria, and shame. As with all pathologically narcissistic people, their emotional lives center on managing envy and shame. And as with many other narcissists, this is usually achieved by destroying the object they are envious of or that they may experience humiliation from. The farther down a narcissist is on the spectrum toward psychopathy, the fewer emotions they actually have. This makes sense when comparing the calculated, predatory behavior of many psychopaths with the emotional reactivity of non-psychopathic narcissists. However, if there is a difference regarding the superego, the ego of a psychopath is just as grandiose, self-focused and dysfunctional as any other pathologically narcissistic person - probably even more so. Without the superego running interference, the inner landscape of the psychopath is different than that of other narcissists. It's as if, rather than existing outside of the ego - and in conflict with it - as most narcissists do, the psychopath exists inside the ego and experiences no conflicts in this area at all. They aren't worried about being seen as a bad person. They don't care if their behavior is perceived negatively by others, or if it hurts anyone. It just doesn't matter. 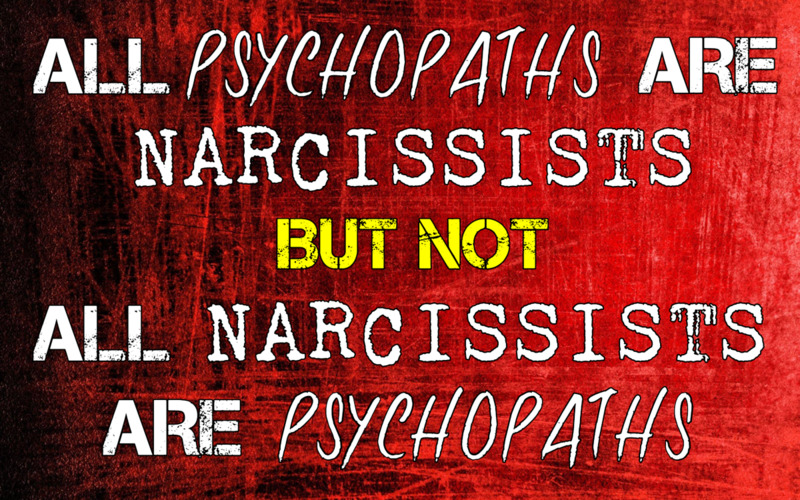 This is one of the key differences in psychopaths and other types of narcissist. Narcissists fear exposure, rejection, abandonment. They react defensively - even if it doesn't appear that way. Psychopaths do not fear these things. They act offensively, from a position of predation and dominance. One of the biggest functions of the superego is what we call our conscience. This is the thing that speaks up in your mind and says, "You should not say that, you will hurt their feelings," or "You should not take things that don't belong to you." 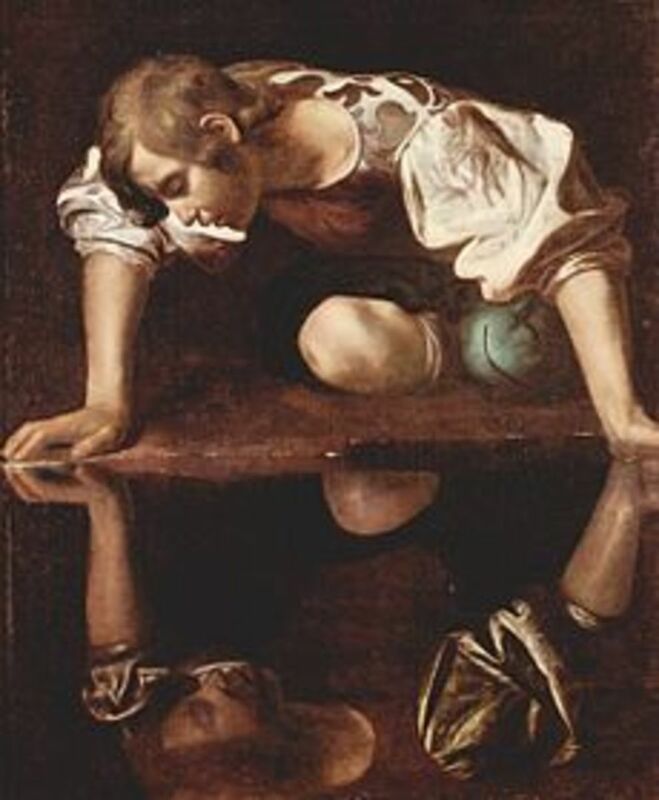 Non-psychopathic narcissists generally do have a superego, which is to say that at one time, they had at least the possibility of a conscience. It is maladaptive and dysfunctional, however, and usually behaves as a persecutory assailant rather than as a moral compass. 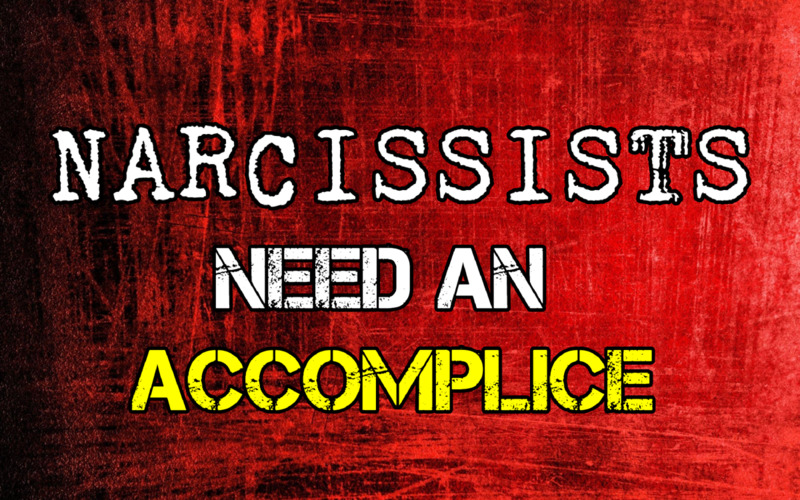 In other words, narcissistic people often have too active of a conscience when it comes to themselves, and this dysfunctional, self-focused conscience attacks and abuses them nonstop. Psychopaths have no superego to speak of, and therefore have no conscience at all - dysfunctional or otherwise. They exist in the instinctual "pleasure principle" of the primitive, infantile mind, which is supported by the grandiose, unchecked and dysfunctional ego. The "moderator" of these two things that most of us have is just not there for them. The emotional and functional handicaps which hold many pathologically narcissistic people back are not a problem for them, either. This is why self-sabotage is generally uncommon among true psychopaths. 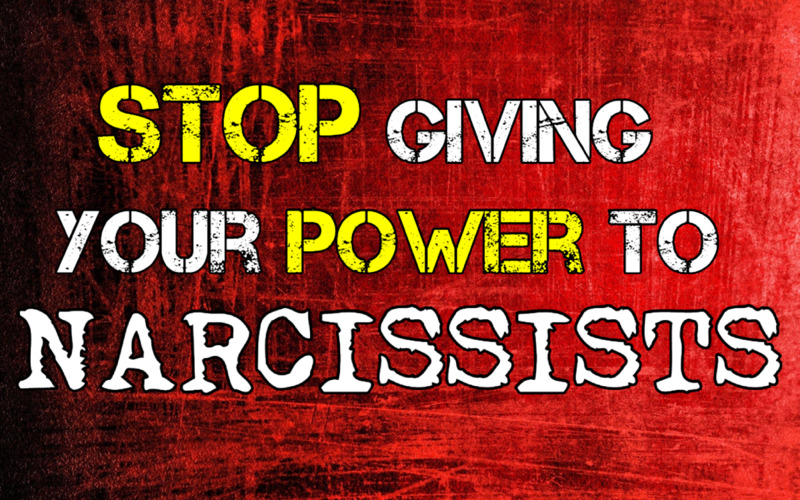 Narcissists sabotage themselves many times because on some level, they don't believe they deserve it, or because they are so reactive to their own emotions that their behavior ruins things. They cannot get out of their own way. Psychopaths do not feel that way and they don't have that problem. 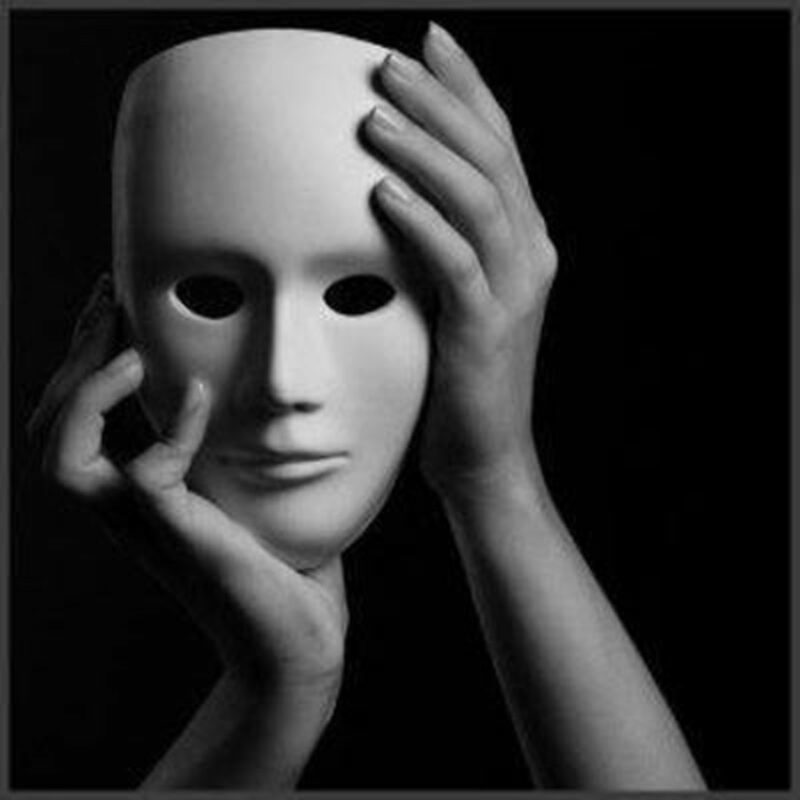 Because narcissism is a spectrum, there are many people who are pathologically narcissistic and have psychopathic tendencies, though they are not true psychopaths and there are many different ways these things can co-mingle or be expressed in a personality. It's hard to say why some people become psychopaths and others do not. It may have to do with the level of trauma or abuse a person has endured, it may have to do with when these things happened, it may have to do with genetics or a predisposition, it could have to do with the uterine environment... it's difficult to say. Some say psychopaths are born. Others say they are created. There are no definitive answers right now, and there may never be. It's probably multi-faceted; many things conspiring in a perfect storm, just like most of other things. In the end, it doesn't really matter because what matters is protecting yourself from this type of person and you do that through educating yourself about them.